3. Select the number of columns you want then click apply to the section you want. whole document or this point foreword. 8. You can scroll through the various symbols and click on the tabs. 9. 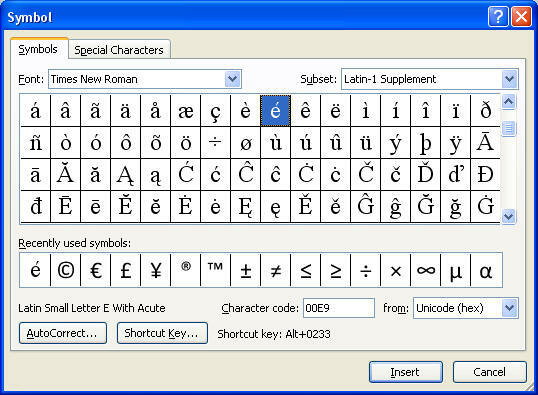 WordArt is specially formatted, decorative text. - is an object independent of the text- it can be beveled, transformed, and filled. 12. Type in your text. 13. Wrapping text around a graphic. 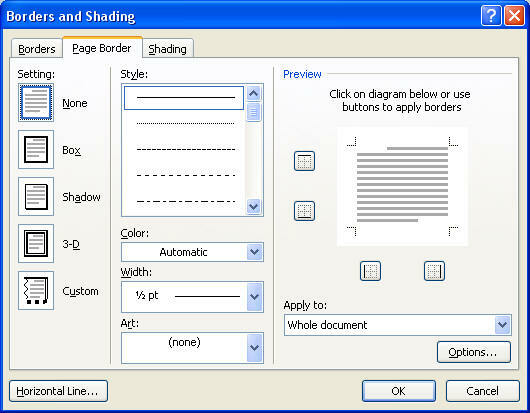 -WordArt is a floating graphic - attached to a paragraph. Top and Bottom-text stops at the top border of an object band resumes below. Behind Text - Text flow over the graphic. 14. 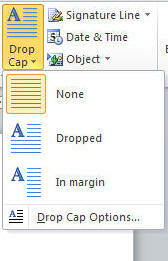 Change font size of word art. 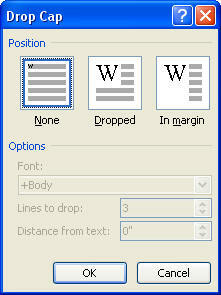 - select the word art text, click the font size arrow in font group and select size. 15. 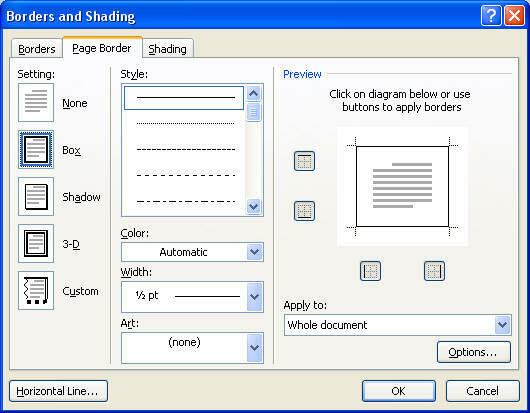 Change color and shape - Make sure text box is selected, click drawing tools format tab, in word are styles group click text fill button arrow, select the colors you want, click the text effects button, point to transform, select the one you want. 16. 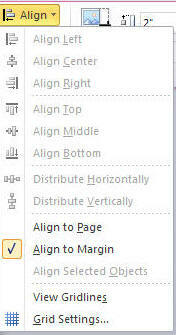 To use Size button - click the drawing tool format tab, click the size button, enter the size you want. 18. 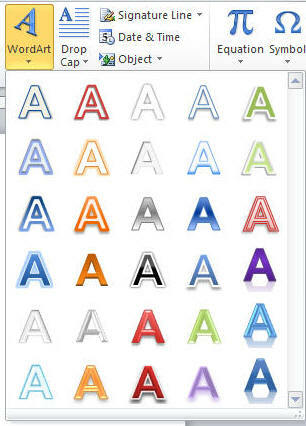 In the search for box type in the category of clip art you want such as doctor and make user all media file types appears in the results should be box. If you only want to include clip art on your computer, check the include office content. Click go. A clipart will be displayed. Click on it to insert into your document. Close the take pane. 19. Cropping a graphic means cutting off part of the graphic. Select the clip art, in the size group click the cropping tool and move the cropping handles where you want them and click off the clip art. 20. Changing the shape of clip art- select the clip art, click the picture tool format tab, in size group click the crop button arrow, point to Clip to shape, select the shape you want. 22. Select the text wrapping you want. 24. Click on the alignment that you want. 25. Insert Photograph -click insert, click picture, navigate to the picture you want, click insert. 27. The purple area of the photo represents the background - drag the box to fill the entire photo. Click Mark Areas to Keep button in the refine group and draw lines through the purple area to indicate what you want to keep, click keep changes. 28. Add a picture style to the photo.- click picture tool format tab, then click the more button in the picture styles group, select the style you want. 29. 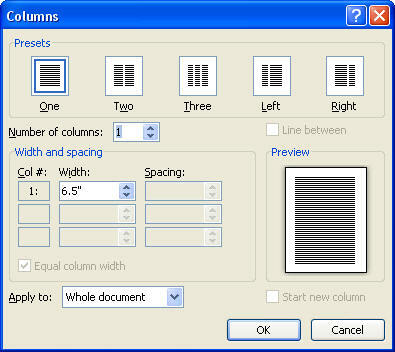 Balance Columns - equal length - Press ctrl-end to go to the end of the document - click page layout, click the breaks button, below section breaks click continuous. 31. 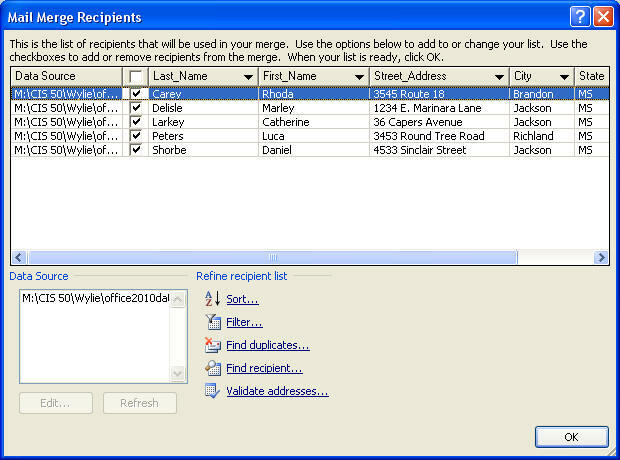 In style box select Whole Document, click the options button, click measure from, click text, click ok.
You can sort , filter, specify exactly the records you want to use. 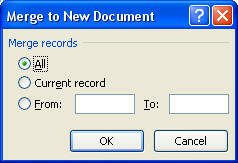 Once you have selected the records you want click OK.
click next write your letter. 34. Choose the format you want., Click OK.
36. 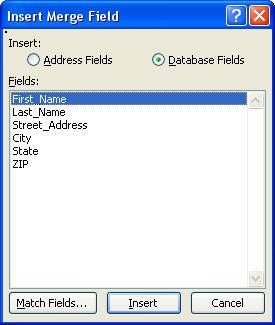 Click on the field that you want to insert, click insert, click close. 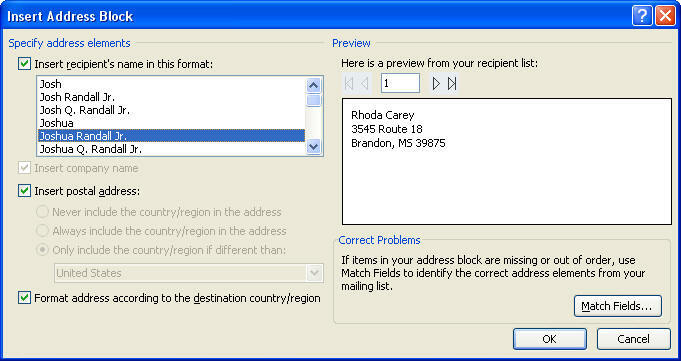 Note: You can put a field multiple times in the letter. 38. Click on the chevrons next to Recipient 1 to advance through the records. 41. 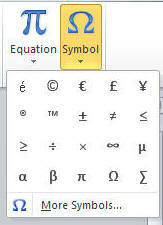 Select the option you want and click OK. You will then see all of the merged letters that you selected. You can modify the individual letters and then print them all.